I have an obsession for fragrances that have floral notes. I get my fragrances after testing and reading about them as fragrance is the only product where no budget can ever stop me from exploring. Recently I have started using Oriflame Incognito For Her Eau de Toilette. 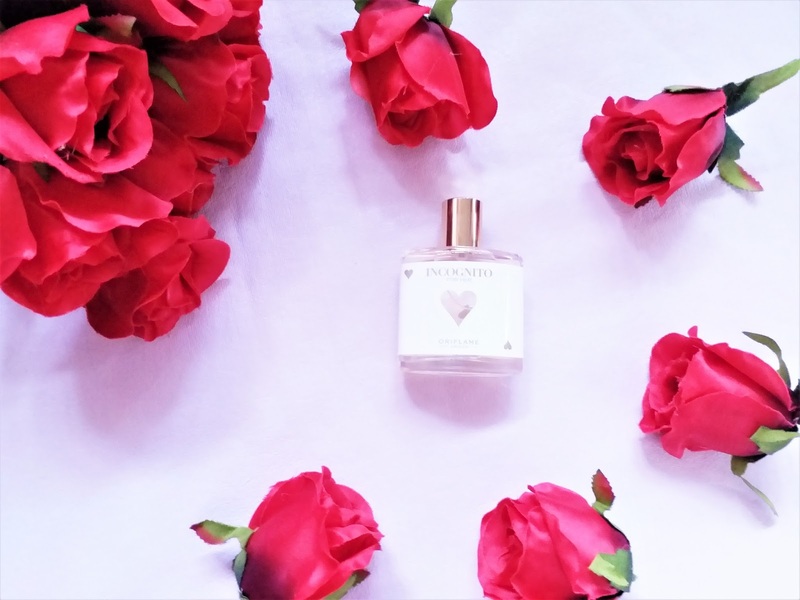 This is an absolute romantic fragrance with classic packaging and a lot of passionate raspberries. Packaging: The perfume comes in a satiny cream coloured cardboard packaging with fonts of gold. The transparent bottle has a white sticker going on with a love sign and golden pump spray that is covered with a golden cap. 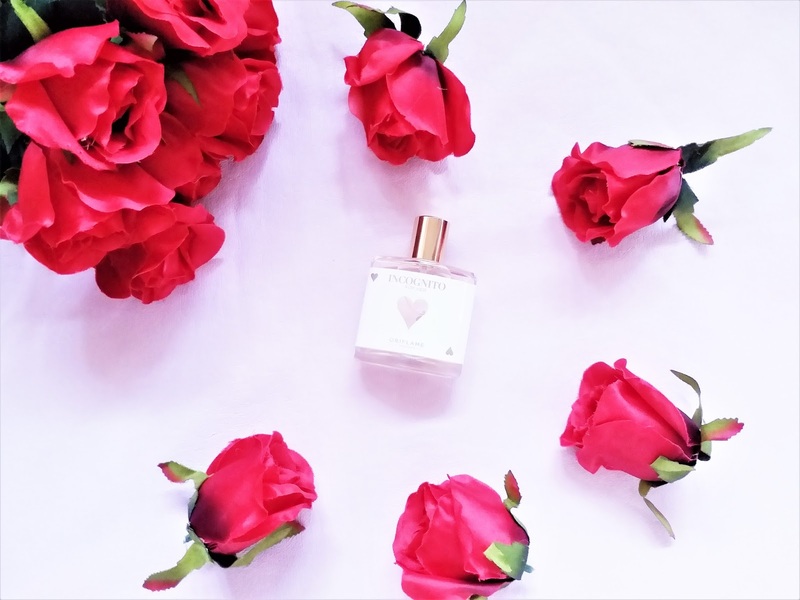 My experience: The first impression that you get from the packaging and the initial rendezvous with the Oriflame Incognito For Her Eau de Toilette, is sheer romance. The sweet and floral blend speaks of passionate berries, beautiful lilies and sweet praline- a rare combination indeed. The top notes are berries, ground cherries and sweet fruits, the middle note are extensively floral with the abundant touch of lily of the valley and the base is like a molten lava of praline. 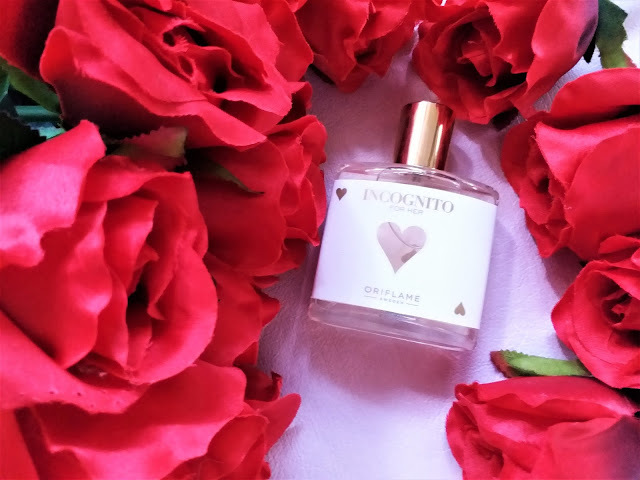 Oriflame Incognito For Her Eau de Toilette stays for a decent time, and interestingly although the initial scent that the wearer spreads is more of a fruity texture, the longer the time goes, the more sweeter it gets and you can smell the wonderful praline. This fragrance is definitely for those romantic divas out there who loves everything sweet around them. If you are not a lover of too sweet a fragrance, you may skip it. 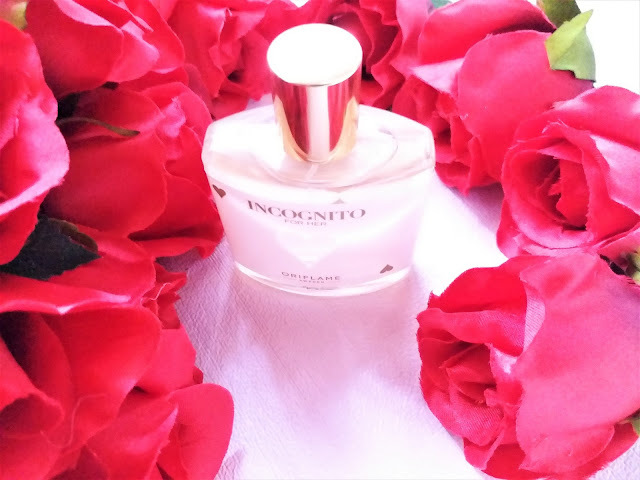 Oriflame Incognito For Her Eau de Toilette is a beautiful blend of sweetness all over. It is a fragrance that is suitable for a romantic date or a time when you feel loved and want to spread the joy of love.